This month, Image Comics​ reprinted Spawn​ number ONE as part of the Image First comics series. The last time they did that was in 2010!! It’s been a while since a reprinting of my NUMBER ONE has come out! So..if you didn’t catch issue one of Spawn in 2010 OR the FIRST time in 1992, THIS is your chance to get yours! And what’s even COOLER is that the issue only costs $1.00!! Anyways…since it’s been FIVE years since a reprinting of this issue, what better thing to do is celebrate with a GIVEAWAY! I’ve signed FIVE Image First comics and I’ll be picking people at random and announcing the winners THIS FRIDAY!! 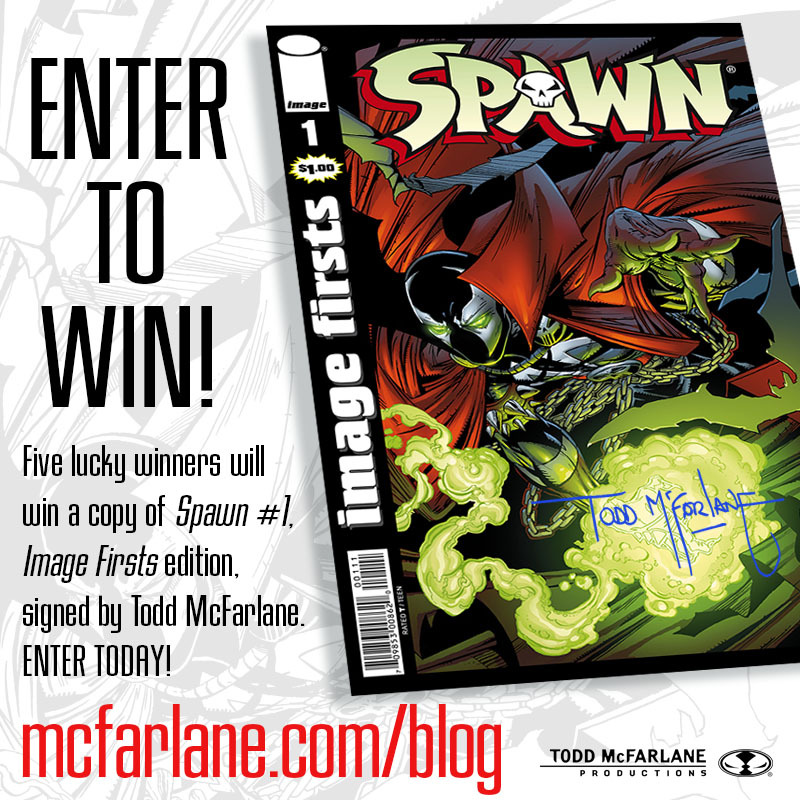 All you have to do is sign up for the McFarlane newsletter and you’re entered! It’s as easy as that! We don’t send a lot of emails (maybe 2-3 times per month)… but it’s your bible to everything McFarlane (first looks, new releases, contest announcements and more!). Just sign up, below. P.S.- If the form isn’t working for you for some reason, click HERE.